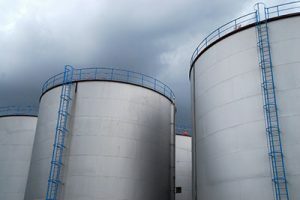 Industrial heating systems are a key component of tank terminals and tank farms. When it comes to storing, heating, pumping, and transporting asphalt and other materials, having reliable, durable heating equipment is absolutely imperative to your plant’s success. At American Heating Company, we design, manufacture and distribute a variety of industrial heating products used in tank terminal heating applications. Our process heaters and asphalt heaters are used in many tank terminal facilities around the country. When it comes to transporting materials on rail cars, our steam generators are a reliable and efficient choice. We also manufacture a variety of heat exchangers and tank heating coils for use in tank terminals. All of our tank terminal heating products require minimal maintenance and servicing so you can keep your plant up and running. For asphalt roofing plants and other industrial applications, our heating products are second to none. For tank terminal heating equipment you can rely on, trust American Heating Company. Our tank terminal industrial heating systems are cost-effective and efficient to run, requiring minimal maintenance and repair. Whether you’re looking to replace one component of your tank terminal heating system or you’d like to upgrade the entire thing, we can be of assistance. If you’re looking to invest in new heating equipment for your facility, give us a call today at (973) 777-0100 or contact us online to learn more about the quality tank terminal heating products we offer. Know exactly what you’re looking for and just need an estimate? Request a quote from American Heating Company today!